The BEST Baked Refried Beans Recipe - beans, sour cream and salsa - ready in minutes! My husband hates refried beans, but gobbled these up! Also great as a dip! 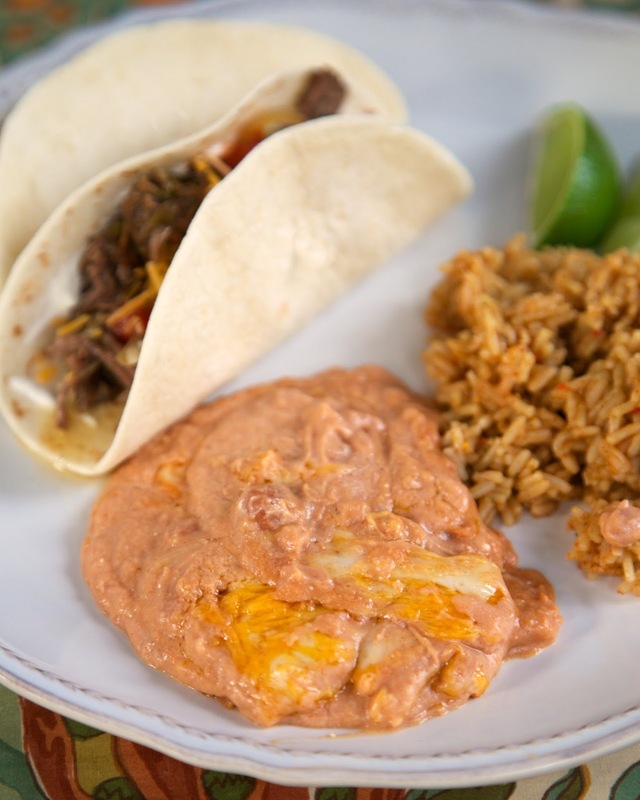 These Baked Refried Beans are "the bomb"! Chicken Legs can't stand refried beans. I never make them. He took one bite of these beans and said "These are really good." Score! These beans are so easy to make. You can mix them up ahead of time and keep them in the fridge until you are ready to bake them. I just pop them in the oven while I am finishing up the tacos or fajitas. They couldn't be any easier. While we served these beans as a side dish, I think this would also be a great dip. I could have definitely finished off the dish with a big bag of Fritos! Give them a try and see if you can win over your bean hater too! 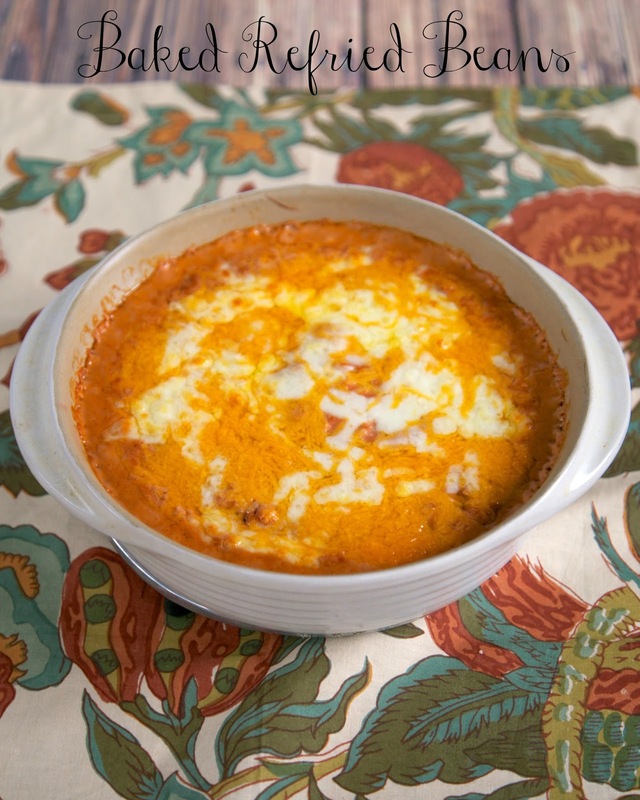 Combine refried beans, sour cream and salsa. Spread in a 8x8 baking dish. Top with cheddar cheese. I know it is not "healthy" but what they really need is the addition of some bacon drippings or as I call it bacon grease. Adds a whole another layer of flavor. Made this last night as a dip..awesome!!! Just another comment. As you said, it is a great side dish. As a dip, it is a bit runny, but still delish! Do you have an idea how to make it a bit less runny as a dip? I used Tortilla Scoops and it worked out well. But I'd still like to make it just a bit thicker! Thanks! You could reduce the salsa to 1/4 cup, use chunky salsa, drain a can of Rotel in place of the salsa. I added 3 chopped green onions, tops and bottoms and a handfull of cheese to the mixture. I also put a little chopped cilantro on top for color. (over the cheese) Super yummy!! I spread retried beans over a dish, stick corn tortillas all over it, upright, then grate cheese all over and micro for 2to3 mins. Heaven in a dish. Can you prepare this ahead and freeze. Then take it out of the freezer the night before to thaw and bake as directed or freeze leftovers for later for later. I live by myself so a large amounts have to be adjustable.